One of the great schisms of our time goes hardly noticed by the press. But it threatens the very foundation of the order of things…well at least of Narnian things… (Okay, it’s not threatening at all and probably not very important except to C. S. Lewis fanatics like me.) And we find it very important—so much so that a number of Lewis scholars have responded to the issue in print, making my offering just one more addition to the mix. Still, I frequently get asked about the right order in which to read the Narnia books and so I want to offer my own thoughts on a question which isn’t going away. Some Narnia fans are perhaps happily oblivious to the questions of which book to read first and what order the series should be read in, but others have doubtless run across the question either because they noticed that book two in the series (as it’s currently numbered) was made into a movie before book one, or because they have seen both older and newer sets of the Chronicles and noticed different numbering systems on the covers or spines. Is this a strange quirk in Narnian numerology—part of its deep magic? Or could it be a dark conspiracy to ruin the books—part of the machinations of Screwtape? The truth is, it’s neither as interesting nor as sinister, but the order in which we read the books can definitely affect our experience of them. In 1995, a new publisher began releasing the Narnia books, abandoning the American edition for the English. Lewis scholars almost universally agree that we should disagree with what Lewis said about the order of publication. 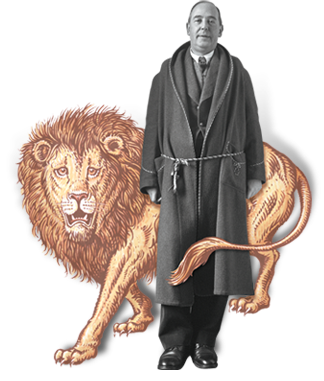 C. S. Lewis was not the kind of person to focus on himself, and though he remembered everything he ever read almost word for word, he lacked such perfect memory toward anything he actually wrote. He was truly selfless not only in his actions towards others, but in his constant practice of ignoring himself in order to make God, not Lewis the center of his life. I’m not convinced Lewis was thinking about his books and their content when he gave thought to the best order in which to read them. He was probably thinking about what might be easiest for children to understand. And while he “preferred” chronological order (Collected Letters III, 847n. ), he also said, “perhaps it does not matter very much in which order anyone reads them” (Collected Letters III, 848). The Magician’s Nephew doesn’t captivate new readers as well as The Lion, the Witch and the Wardrobe does. I’ve heard stories of people reading Nephew and quitting the rest of the series! Wardrobe grabs readers more powerfully on a first reading. Some bits in Wardrobe don’t make sense if you read Nephew first. Lines like, “None of the children knew who Aslan was anymore than you do…” (74) make no sense to readers of Nephew, and Aslan’s introduction in Wardrobe loses some of its mystery and power. Reading The Horse and His Boy fifth punctuates the book’s major theme: Providence. The first four books (if read in published order) all contain quests which are defined fairly early in the story. When we come to Horse, we suddenly encounter a story which has no clear quest until it’s been fulfilled. Nor do we encounter familiar characters or places in the beginning of the book as we do in Prince Caspian, The Voyage of the Dawn Treader and The Silver Chair. We feel as lost as Shasta does. There’s an “otherness” to Horse, a strong contrast between it and the first four books in the series. All this lends to the main point of The Horse and His Boy: that though real life looks meaningless, purposeless, quest-less, and confusing, God is operating behind the scenes toward amazing ends—the theme of Providence. There is a quality in Horse which mimics in theme and technique the biblical books of Ruth and Esther. Here we encounter almost secular stories which nevertheless show how God often operates in the world, behind the scenes. Horse is so very different from the other books in the Narniad because it is so very much like the common experience of lives in this (our) world. But it loses a lot of that quality if read second or third. Nephew gains mythic power by being read in order of publication. By itself, Nephew is good, but what makes it wonderful is that we read about a world we’ve already fallen in love with (by reading the other books first). We meet the Aslan we’ve grown to love so dearly, the old professor as a boy (who will then reappear immediately in The Last Battle so that we feel the freshness of his presence there). We delight in learning where the wardrobe that started all the adventures comes from (but the wardrobe will mean nothing to the first time reader of Nephew who begins with that book). The power in Nephew is born out of its status as a true prequel. Its meaning is made deeper, more wonderful, because of the tales we’ve encountered before. I grant these arguments aren’t earth shattering, but I stand by the position that the best way to read the Narnia books is in their original published order. For additional or more detailed arguments, interested readers will find numerous offerings. Here I suggest only two: “The ‘Correct’ Order for Reading the Chronicles of Narnia?” by Peter J. Schakel in Revisiting Narnia: Fantasy, Myth and Religion in C. S. Lewis’ Chronicles (Benbella Books, 2005) and C. S. Lewis: A Life by Alister McGrath (Tyndale House 2013), pages 272-74. This entry was posted in Charlie W. Starr and tagged America, Collected Letters, narnia, Screwtape Letters.